General Manager of the Four Seasons Resort Chiang Mai Titiya Chooto with members of the Chamber Music Quartet led by Tassana Nagajavira (far left) at the end of the concert. Funds raised from the performance will be donated to the Chiang Mai Provincial Red Cross in this annual concert. 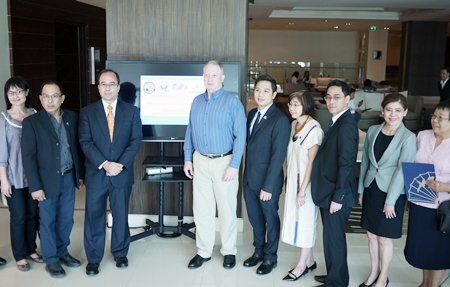 Members of NOHMEX, the Northern Handicrafts Manufacturers and Exporters Association, met with the Regional Intellectual Property Attaché for the United States government in South East Asia and US Consul General Michael Heath at a roundtable discussion at Le Meridien Chiang Mai on Thursday, February 12, 2015 to discuss the intellectual protection issues for arts and crafts manufacturers in Thailand and overseas. 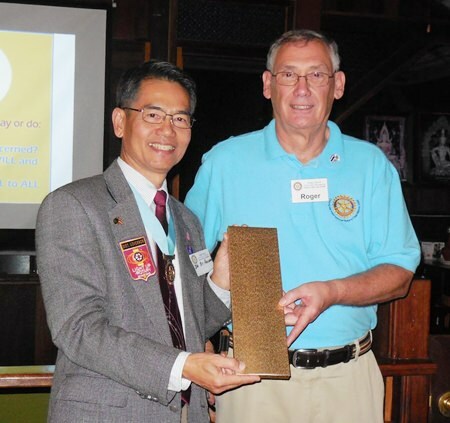 Active members of Skål International Chiang Mai met at 137 Pillars House for their annual general meeting and a luncheon at the resort’s restaurant located in the historic teak original building, Palette. 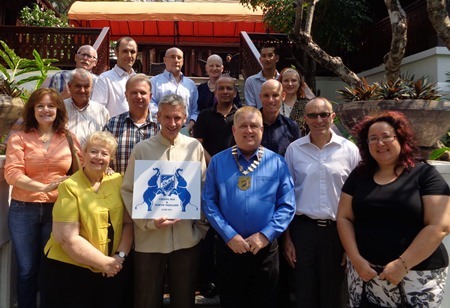 The event was overseen by General Manager Manfred Ilg, President of Skål Chiang Mai Tim McGuire and members of the committee. 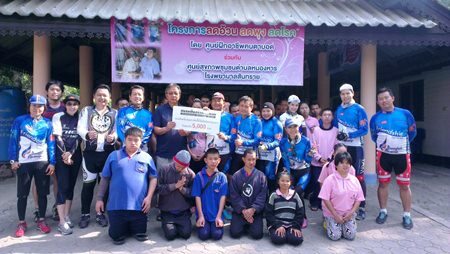 The Friendship Cycling Club Chiang Mai organized a charity cycling trip to raise money in support of children Blind Vocational Training School Chiang Mai on February 8, 2015 and funds raised were used to purchase dining tables for the kids valued at 5,000 baht. They were presented to PrapanTongpan, head of the Blind Vocational Training School Chiang Mai at the school. Suthep Prombuddha (2nd left); Resort Manager of Woodfield Resort and Aungkana Kangphrome; Marketing Communication Manager, welcomed Mr. Aung Min (centre); Minister of the President’s Office for the Republic of the Union of Myanmar together with Mr. Khin Maung Soe (far right); Ministry of Electricity Minister and Mr. Khin Yi (far left); Minister of Immigration and Population, during their stay at the Woodfield Resort, Chiang Mai recently..